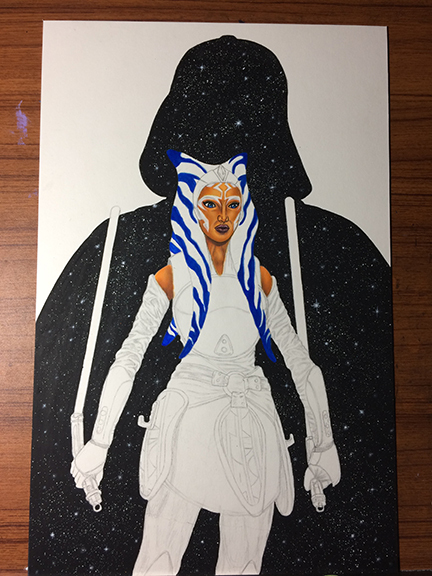 Here is the a progress stage of my Ahsoka Tano painting for this years donation for local Children’s Miracle Network Hospitals. You have a chance to win this original paint and other artwork while helping out this great charity. For every $5 donated = 1 entry in the drawing. Thanks for your support! !